Most of my articles here are of a “big picture” philosophical variety, but I also love to include some practical methods and tips because implementation is the only way we can make use out of all those brilliant ideas you hear about all the time. Today’s post is all about implementation. Unfortunately I couldn’t get into more detail in the book, but that’s what today’s post is for. 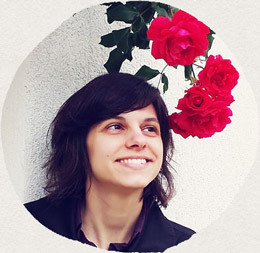 I’ll share a technique I teach in my workshop for freelancers and agencies, called the client journey mapping, which is useful not only for your branding efforts, but has all sorts of other benefits as well. When we create our offers from our own expertise, we operate from the perspective of having all the puzzle pieces together. However, what you know is quite different from what your client knows and they may not understand what you meant when you created your solution, your messaging, and your design. Your website visitor may be seeing your offering for the first time in their life, and even if they had prior experience with similar offers, you probably did things slightly different, and they need to get used to your unique approach. How do we get out of our heads and see our business with fresh eyes? Enter: the client journey map. The client journey map, or a customer journey map, is a tool used in user experience design to chart the user’s path through a certain process, application, course, product use, etc. (I use the word “client” because I’m focused on helping service based businesses.) The design of my maps is slightly different from what you may commonly see in the UX circles, but you can use either method. Your map can be digital, like the drawing above, or it can be made on paper. My favorite method for low-tech client journey map is post-it notes. Apart from displaying the steps in your client journey map, you may also note the emotional experiences your clients is going through, and potential opportunities to improve those experiences. What insights can you get from it? First and foremost, your client journey map can reveal all the stumbling blocks your client encounters on their way through your website or other channels, and give you ideas how you can eliminate those blocks, or at least make them less annoying. 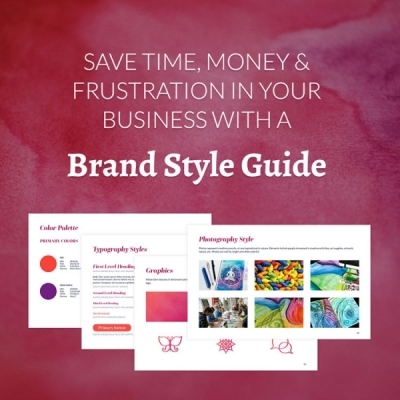 When you identify those annoyances and mismatches in your brand voice and visual design, you know what to focus on when you get around to fixing things around your website. No need to get overwhelmed with a ton of changes across the board, when only a few targeted improvements might have a greater impact. Thanks to the client journey map, your to-do list can go from “Rewrite website copy & overhaul the client onboarding process” down to “Add ‘What happens next’ section to my inquiry form.” That's pretty sweet, don't you think? 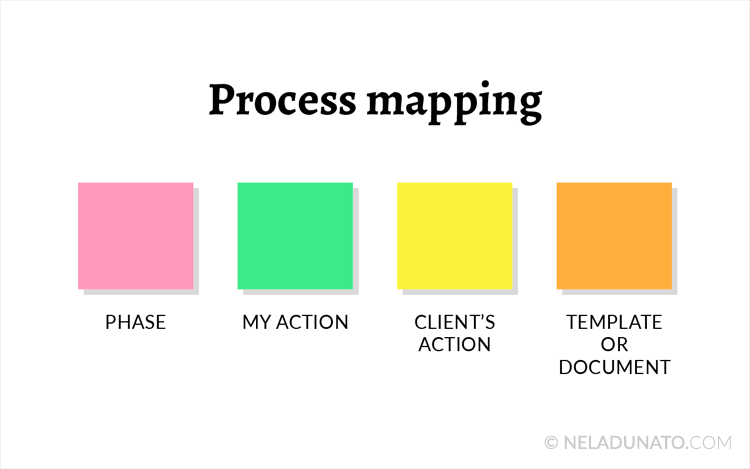 A client journey map is also immensely useful if you're creating a new website or a new service. It will give you an overview of how much content you'll need to prepare (because on your website, content is the #1 reason why people tune out). 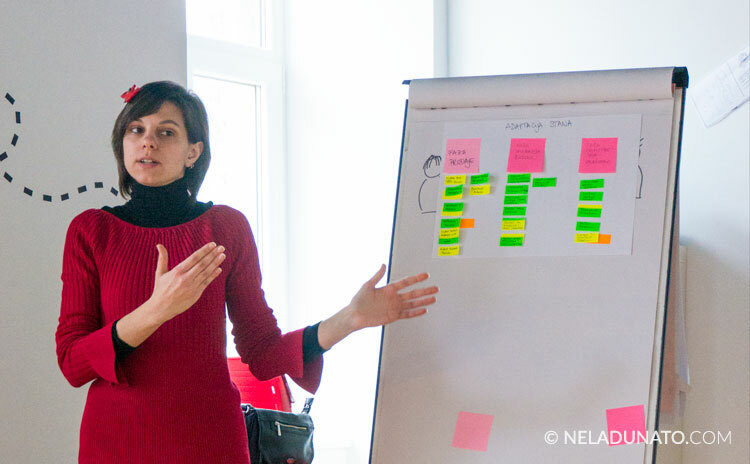 You can create your own client journey map in less than an hour—the time depends on how complex your business model and systems are. 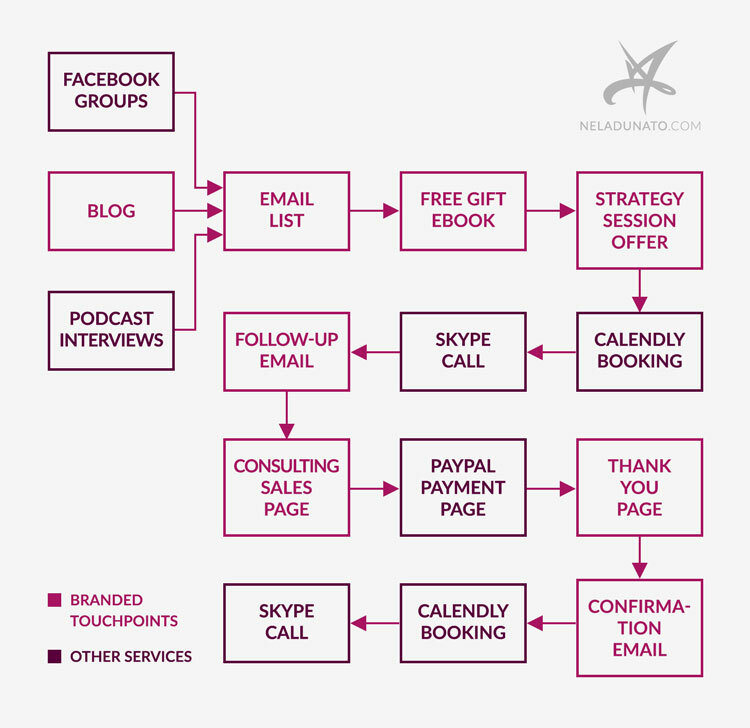 You can also map certain sections of your business individually, so you can break this process apart into several sessions if you can’t devote a lot of time at once. I know taking time for strategic work is hard when you have a ton of day-to-day creative, administrative and tactical stuff on your plate... and yet, it’s so useful to take a break and do some high-level strategic thinking that will make your everyday job easier. A large sheet of paper (or several smaller sheets taped together). If you have a whiteboard, you can use that instead. I like post-its because I can color-code different categories of steps and then differentiate them at a glance. My favorite post-its are those small ones (about one third of a regular post-it) because I can fit lots of them on a piece of paper. We don’t need to fit too much text on them. You can also use digital tools to create your maps. Here are some free tools you can test and see how you like them. Canvanizer – offers a typical customer journey template with 3 phases. Draw.io – flexible chart drawing tool. Trello – typically used for to-do lists, but I find it very useful for linear process mapping. For a start, good ol’ pen and paper may be best, but if you plan on doing this regularly, it may be useful to learn how to use a digital tool. Any graphics software you normally use in your business can work just as well (Photoshop, Illustrator, Canva, PowerPoint, etc.) so don’t get hung up using specialized mapping software if you don’t like it. That’s a lot of phases, since my projects are quite complex, and each phase has a number of steps that both my clients and I complete. For an online consulting business or a therapy business the process may have fewer phases. Just make your best guess, and keep going. You can always add more phases later, or reorganize your post-its into different phases. Your client journey will likely consist of a large number of steps, some done by your client, and others by you. Let’s define what counts as a “step” first. Visiting a page on your website. Any distinct action that a person can reasonably complete in a single sitting can count as a step. Some steps are simple and quick, and others may take more time and effort, but the point is these steps can’t be broken down further. Your survey may have 10 pages, but it still counts as a single step. Don’t overthink this: just start writing your steps down, and sticking them onto your canvas. The easiest way to start is to imagine yourself as if you were your client, landing on your website or social media page for the first time in your life, and then following the thread towards your services web pages, your entire client process, and then follow-up and repeat sales (if relevant). What is the action your client has to take to move forward? What action do you have to take to move forward? Use the green or yellow post-it color depending on whose turn it is to make an action. Soon you should have a couple of post-its under each phase. When you’re certain you’ve logged all of the steps in your journey, move on to the review. This part can take a bit more time. You may do it immediately after creating the map, or on a different day. How well is this step serving the client, and my business? How does the client feel when they go through this step? How do I feel about going through this step? You can literally view each web page, read each email, examine each document, and note the little details that may delight or frustrate your client. Pay attention to the language you use, the design elements, ease of use of a certain tool, etc. If everything is peachy, move on to the next step. If you have concerns or ideas about potential improvements, note this by writing down directly on the post-it, or on a separate piece of paper. You may realize that some steps in your process could be eliminated without sacrificing the quality of your client relationship. For example, if your onboarding process typically involves a lot of emailing back and forth, perhaps you can write a template for one email you send to a prospective client as soon as they contact you containing all the information they may need, and instructions on how to move forward. Remove the extra post-its you’ve eliminated in this way. Maybe you can automate a part of your process using scheduling software, automated email replies, Zapier, or IFTTT. I suggest using the orange post-its to mark those opportunities. If you notice that clients repeatedly struggle with a certain step, think about what kind of resources you can create to make this step easier for them. Note any opportunities for tools, videos, documents, tutorials, etc. on the orange post-it. If you think an overly complex step might work better as multiple steps, feel free to add new steps and rearrange your post-its. Once you’re done, it’s time to use these new insights in your business. 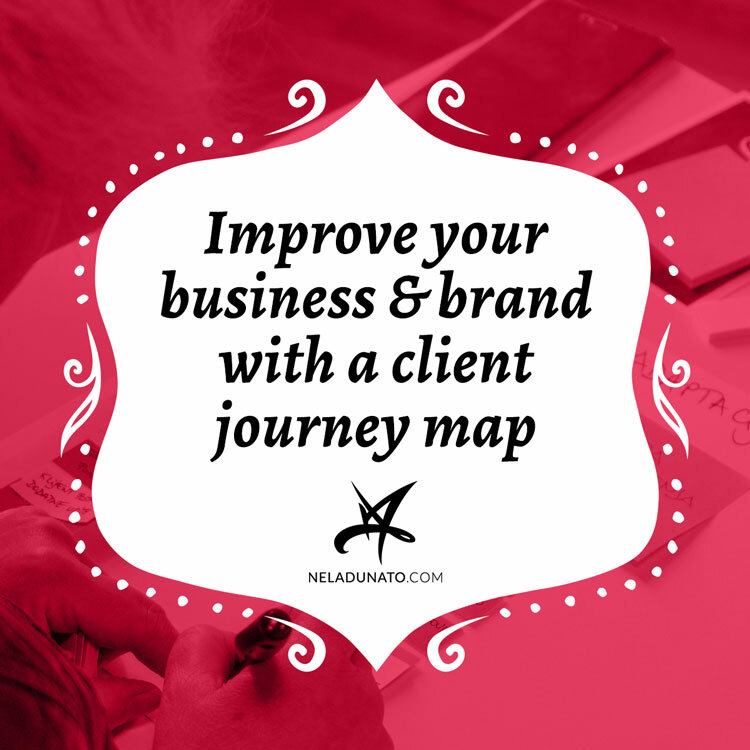 After completing your map, you may realize you need to create more content or implement new tools to streamline your client journey. Some steps may only require writing an additional paragraph, or replacing an old graphic with a newer one. Others may require a complete overhaul. Make sure your to-do list is clear about the amount of work that’s needed. Assign dates to tasks so you know when you’ll get around to them, and start implementing at your earliest convenience. I’d suggest to start with the low hanging fruit: short tasks that you can finish in under 15 minutes, and complete a number of them in a single day. After you’re done with those, move on to the more time-consuming tasks. The first time you create resources or set up a new tool is always challenging, but remember you’re saving time in the long run. How much easier would your life be if you already had these resources? Make your future life easier, and do it now. When adding new offers to your business, take a look at your client journey map and consider how this new offering fits into the larger journey. Where would you place it: in the beginning, around the middle, or at the very end? How does it change the previous and following steps? What can you do to make this transition more seamless, and to encourage your clients to step forward? Always aim for making your own and your client’s life easier. Each step in your journey is an opportunity to communicate your brand. 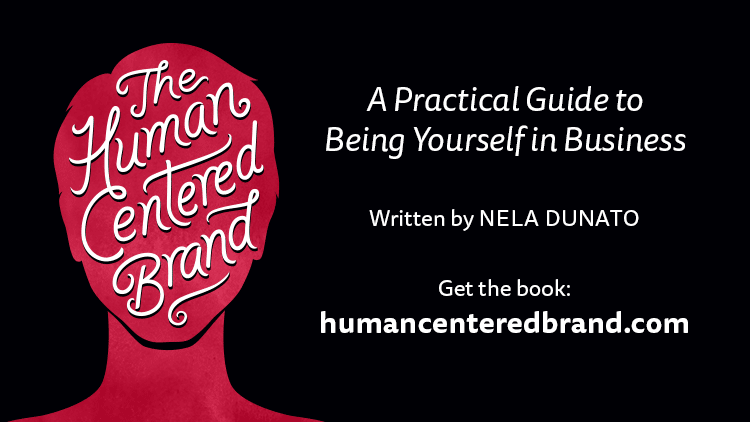 The reason I mention this in my book is that each of these steps can benefit from an infusion of your personality. Instead of using default text that comes with a lot of automation apps, write your own text that sounds like you talk and write. If your tools allow for design customization, do it so all your tools look like an extension of your website. If you use documents in your process, use the same template for all of these documents so that they look like they’re a part of the same series. If you can, improve some of the steps with explanatory graphics like photos, screenshots, illustrations, infographics, icons, etc. 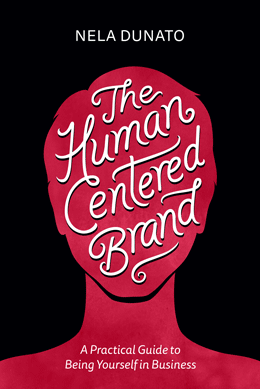 If certain parts of the process are more challenging, offer empathy to your clients. Say “I know this is hard, many of my clients struggle with this, but it will be so rewarding when we’re on the other side of it.” Improve transparency by providing reasons why you need certain information from your clients, and what you’re going to do with it. Having a visual image of your client journey is immensely helpful for you—but it’s also helpful to your client. You may share a part of your process that they may be wondering about on your own website and introductory emails to ease their discomfort. 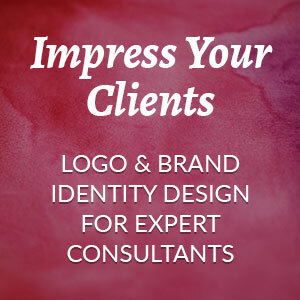 My own logo & brand identity design services page does this through the use of text and graphics. (Scroll down toward the lower half of the page.) I also share the entire process in more detail in my Welcome Guide document. When you know your process inside out, you can answer any questions about how you work, and why you do things a certain way. You can also create content that concerns specific phases, so when a client asks you about something, you can simply forward them to the post you’ve written. 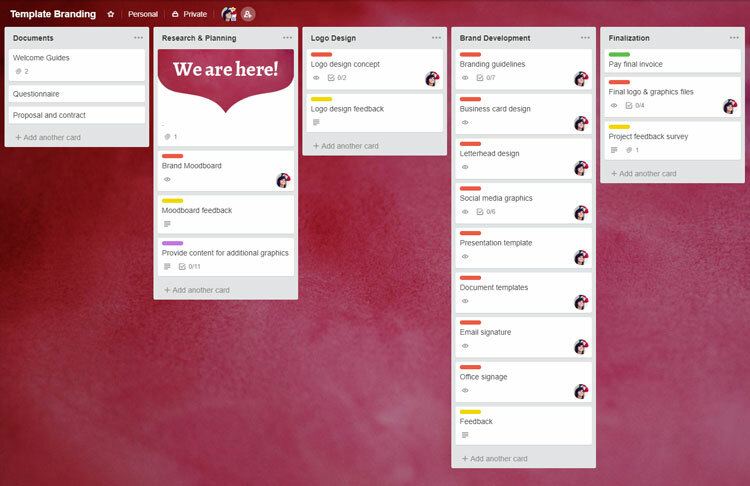 My favorite part of this is that my project management board in Trello is a direct copy of my paper client journey map (the part that concerns their specific project, that is). The project board matches what they’ve already seen on my services page, and in my Welcome guide, so there’s no surprises. If I ever change something in my process, I also change the Trello template that I’ll then apply on all my new projects. This is really practical stuff. Could you do this just by thinking about your process, without writing anything down? I’m not so sure. Our memory is fallible, and 'd always recommend writing things down when working on your business. If summer is a slow season in your industry, take this opportunity and do something nice for your business. If you’re busiest than ever, then schedule this for the end of the year, right before you dive into making big plans for your next year. Improving the treatment of your clients is the best thing you can do for your long-term success of your business. Marketing alone won’t help you if your business processes are full of holes. Patch those holes, and you’ll soon see your client satisfaction and profits increasing.